On Tofurkey Day I was particularly thankful for the Punk'in Pie mom sent me home with AND for being able to fill up Zoom Zoom for under two bucks a gallon! w00t! Just filled up on PCH at Entrada for $189.9 per. 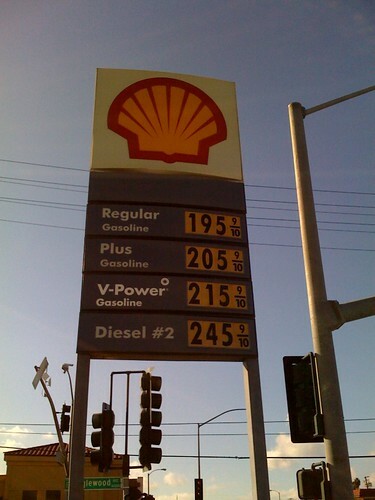 PCH has good deals...I saw cheap gas on PCH just South of W. Channel last night too!